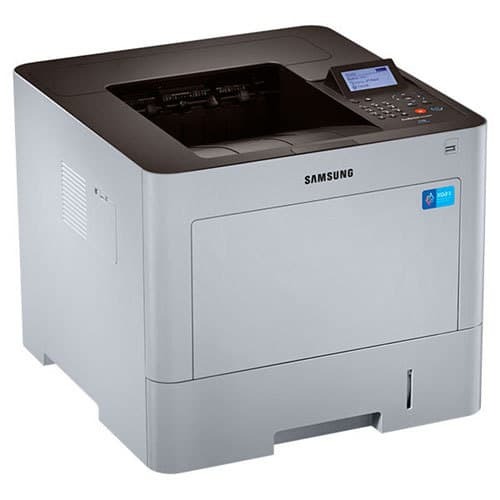 Samsung SL‐M4530ND/NX Laser Printer - Perfecta Business Services, Inc. In today’s competitive landscape, businesses must continually rethink their strategies to maintain a competitive edge. One area that’s easy for businesses to positively impact is workflow. Improving the efficiency and manageability of workflow can directly improve the bottom line. Samsung’s ProXpress M4530 series printers provide the ability to work faster and more efficiently using intuitive controls. Providing functionality and critical reliability, as well as mobile printing and rich security, these printers will keep any office running smoothly. With high-performance and resource-efficient features, the M4530 series can meet the printing needs of workgroups that depend on easily managed, cost-competitive document-handling solutions, while maintaining a low total cost of ownership (TCO). The ProXpress M4530 series prints at fast speeds of up to 47 pages per minute (ppm), with a monthly duty cycle of 200,000 pages. The 1 GHz dual-core CPU provides the power to accomplish print jobs of any size or complexity. Plus the 1 GB standard memory (512MB on the M4530ND) drives productivity with high-volume printing and power to handle more print jobs at once. superior resolution of 1,200 x 1,200 effective dpi, your printouts and company will always look professional. printing, ensuring print jobs will be safely stored and ready to be released when needed.